The big story on Sunday of course, was the weather. Both Franklin and Hart counties dealt with tornado warnings and possible tornado touchdowns. Damage from Sunday’s storms to the Spears family property. While Franklin County did deal with some downed trees and power outages, Hart County seemed to take the brunt of the storms. Hart County Emergency Management Director Terrell Partain and National Weather Service officials spent much of Monday touring the county in an effort to first determine if the storm was a tornado, and second, determine what level storm it was. On late Monday afternoon, Partain told WLHR News that the NWS had determined the storm was in fact an EF1 tornado. The storm hopped from spot to spot for about four miles, but did not ever totally reach the ground. Partain said it appears the storm was about 100 yards wide and caused damage in about a half-dozen locations. 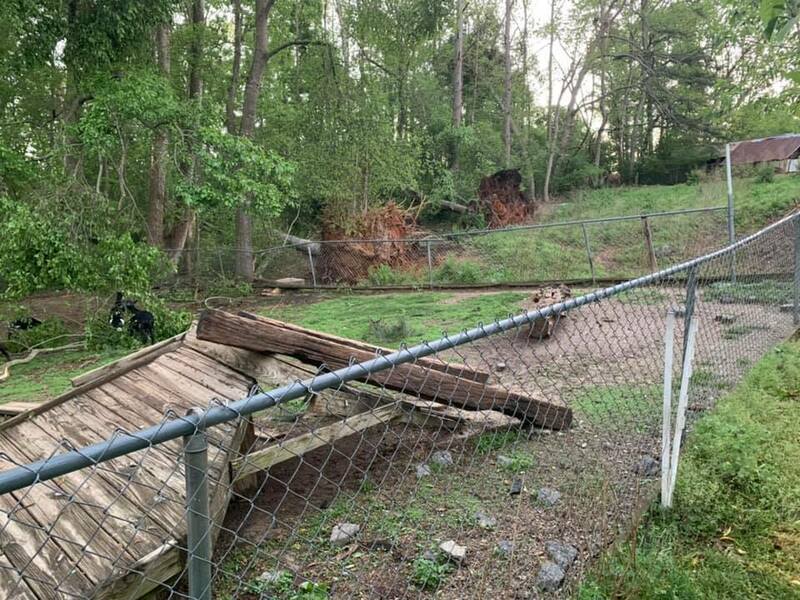 Damage was reported in the Airline-Goldmine Road area, the Burt Moorhead Road area, the Jude Cole Road area, near the Hart County Sheriff’s Office and finally on North Forest Drive. A number of buildings were damaged as well as several barns receiveing damage. At least one house received damage, with the storm bowing one of the exterior walls out. Trees were reported down all along the path in those locatons as well. There were no reports of injuries as a result of the tornado. Franklin County Emergency Management Director Lyndon Burgess said there were widespread reports of downed trees. Burgess, along with National Weather Service personnel, toured an area where a possible tornado touched down but authorities say there was no tornado. Burgess said there was one reported accident with a vehicle hitting a tree but did not report any injuries. With the storms hitting in two waves, Hart EMC reported about 1,530 homes without power during the first wave, which started about 1:30 p.m. The later wave was not as severe with only 60 reported outages. The longest anyone was without power was 3.5 hours. Georgia Power officials did not return calls in reference to outages in this area.